Varis Alvi | Hayat Alvi, Ph.D.
Ahmedabad : World renowned Urdu critic and academic Waris Alvi passed away here on Thursday morning after a prolonged illness at the age of 86. He is survived by wife and three daughters.Alvi had authored 24 books, the last being ‘Ghazal Ka Mahboob aur Doosre Mazameen’. 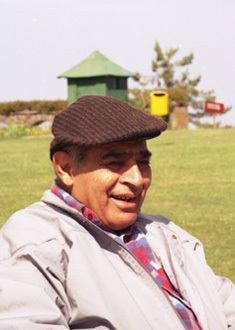 He was among the top three living Urdu literary critics in the country, the other two being Dr Shamsur Rahman Faruqi and Dr Gopichand Narang.Alvi was known for his unique style of criticism, laced with humour and witty presentation of dry, complex literary subjects. He would often term his style as ‘creative criticism’ (takhliqi tanqeed). He had also written several plays in Gujarati language, many of which were staged in cultural events at St Xavier’s College here, where he taught English literature. 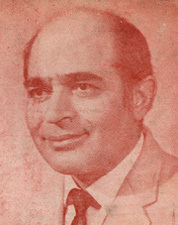 His Gujarati play “Ekda Vina Na. Minda” had received wide acclaim.He had received several awards including Gaurav Puraskar from Gujarat government and Ghalib Award from Ghalib Academy, Delhi and Bahadur Shah Zafar Award from Delhi Urdu Academy. He was also conferred with an award by Maharashtra State Urdu Academy.Alvi also headed Gujarat Urdu Sahitya Academy for several years since its inception.